Uzbekistan has become the first member of Global Green Growth Institute among CIS countries, Trend reports with reference to Uzbek Ministry of Foreign Affairs. "Profile ministries and departments of our country also intend to use the advanced experience and scientific potential of GGGI in developing programs to combat climate change, improve water and environmental security and introduce green technologies into the country's economy, conduct joint thematic round tables and conferences," Uzbek Foreign Ministry noted. Currently, it is planned to organize a visit by experts of GGGI in March to Uzbekistan to discuss practical cooperation and develop a joint strategy for interaction with donor organizations. During the visit, the Institute's experts will visit the Aral Sea region to familiarize themselves with the ongoing large-scale landscaping measures for the dried bottom of the Aral Sea, as well as the activities of the Multi-Partner Trust Fund for Human Security for the Aral Sea region under the auspices of the UN. Moreover, it is planned to open a GGGI representative office in Tashkent with accreditation at the Ministry of Foreign Affairs. The South Korean company Evergreen Motors Group expressed its willingness to provide an office for the GGGI in Uzbekistan in the planned building of the Uzbek-Korean business center on Seoul Street in Tashkent. 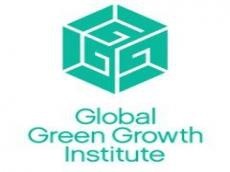 Global Green Growth Institute (GGGI) is an international intergovernmental organization established in 2012 and headquartered in Seoul with the goal of supporting and promoting inclusive and sustainable economic growth in developing and emerging market countries through the development of green economy in a changing climate. Currently, GGGI is implementing 54 projects in more than 30 countries.